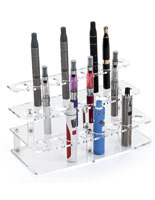 Want to feature merchandise with an interesting tabletop showcase? 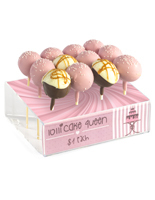 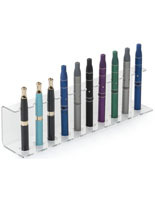 Retail display risers are ideal for elevating products up into the customer eye line. 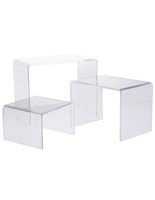 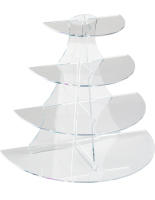 Stands offered in this category include both acrylic and metal styles. 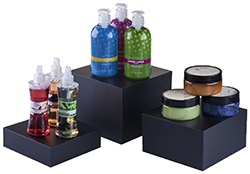 Retail display risers are the top pick for seasoned retailers to highlight products. 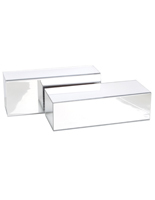 These modern fixtures are ideal for holding jewelry, perfumes and specialty food items. 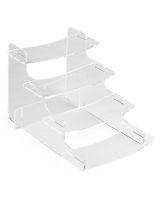 Retail display risers are also used to highlight impulse items next to the cash register. 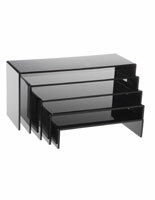 Our catalog consists of an assortment of different options to accommodate any shop. 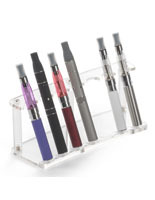 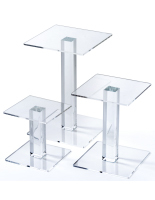 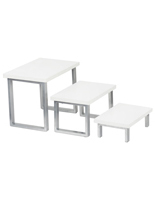 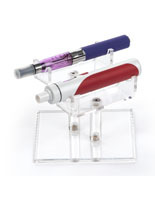 What types of acrylic tabletop stand do we offer? 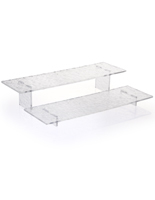 Nesting risers are ideal for showcasing products without having distracting mix matched risers. 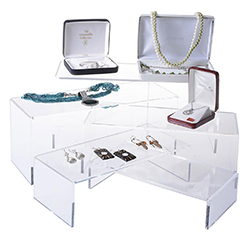 Designed to stand over each other, these risers create an attractive presentation while keeping merchandise in the spotlight. 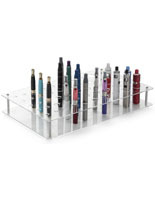 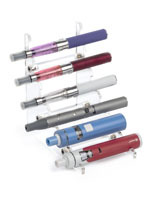 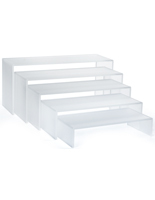 Display risers are offered in single or multi-tiered levels. 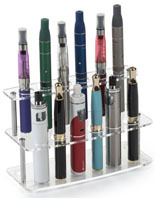 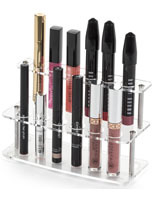 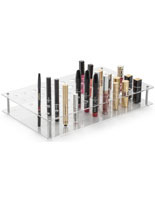 These risers also vary in size accommodating everything from lipstick to flavoring syrups. 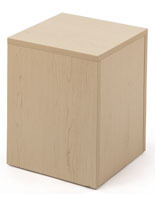 Countertop pedestals have a simple shape, resembling either a box or a stool. 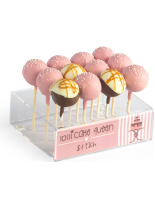 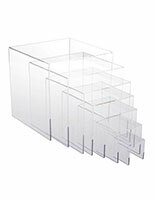 Choose one of these units for a straightforward solution to promoting merchandise. 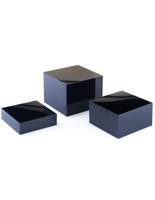 Some cubes have a hollow bottom to allow them to act as small dump dins as well. 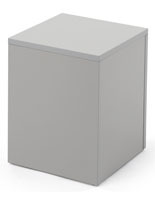 For a larger, but still matching, solution we also sell floor standing cardboard pedestals. 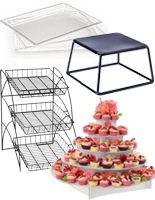 Looking for the right countertop shelving to match your décor? 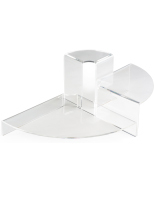 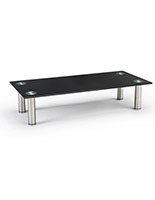 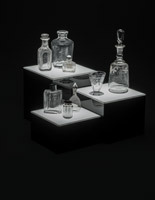 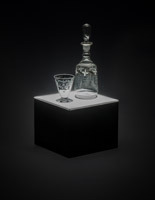 We offer tabletop display risers in a number of constructions and finishes. 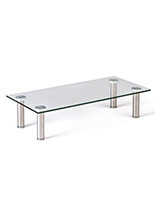 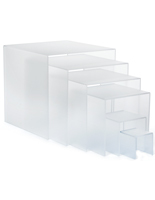 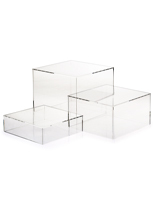 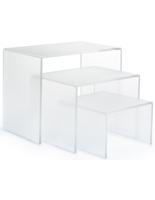 Our most popular fixtures are our contemporary acrylic risers which match any interior. 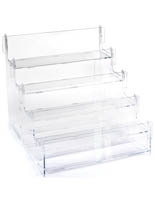 These merchandisers have a glassy and clean professional look to show your wares. 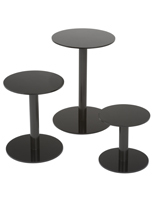 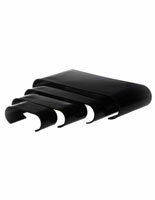 Sleek black plastic stands have a neutral design which allows the product to be the focal point. 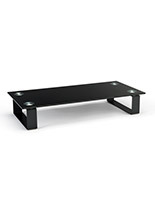 Melamine and steel store risers come in black, white and natural maple to match your store colors. 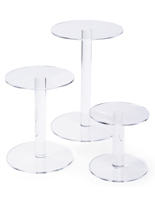 How are tabletop risers used in retail settings? 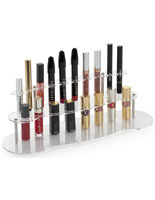 Businesses often use them to raise items so that customers are more likely to see them. 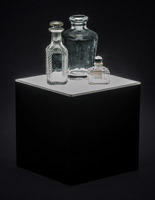 These simple and effective props puts products above the natural eye line. 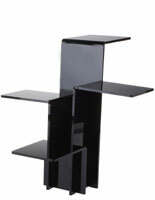 There's no better way of saying "this is special" than giving an item its own pedestal! 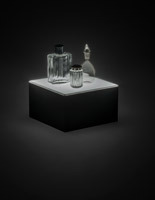 Riser sets are ideal for creating interesting arrangements that feature many different items. 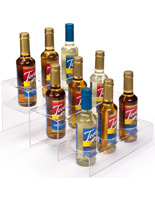 Modular fixtures can be overlapped, stacked, or spread around your store to showcase products. 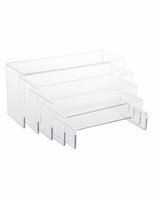 Models that feature an empty space underneath can store surplus merchandise below in the hollow bottom. 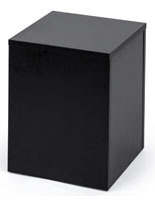 The majority of these counter pedestals ship same day when ordered by 2pm EST. 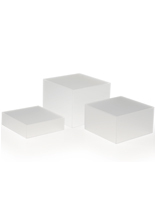 Our wholesale pricing makes it easier to buy in bulk, fitting as many locations as needed. 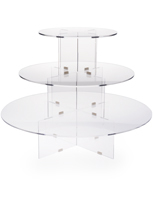 For more store fixtures with quick shipping and bulk pricing, browse our extensive catalog.